It’s a state that’s rich in natural parks, scenic mountains, miles of white Gulf beaches, culture and, most notably, civil rights history, making it surprising to discover that Alabama is one the least visited states in America. Buck the trend and make this beautiful and diverse American state next on your bucket list. For visitors looking for a bargain at one of the state’s many great flea markets, this lack of tourism and crowds works in your favour. You’ll be unique antiques, vintage items and collectables – all at incredibly low prices. Mobile’s most fun flea, the Flea Market Mobile is the place to pick up unique bargains and gifts you can’t find anywhere else. Vendors from all over the world sell their wares at this flea, with more than 800 different booths and six concession stands. Family-friendly, shoppers can browse through furniture, antiques, handmade items, jewellery, fresh produce and more. The staff are incredibly friendly, making it easy to find that special something you have been looking for. Just minutes away from the airport, the market is open every Saturday and Sunday from 9am to 5pm, and is has both free admission and plenty of free parking. 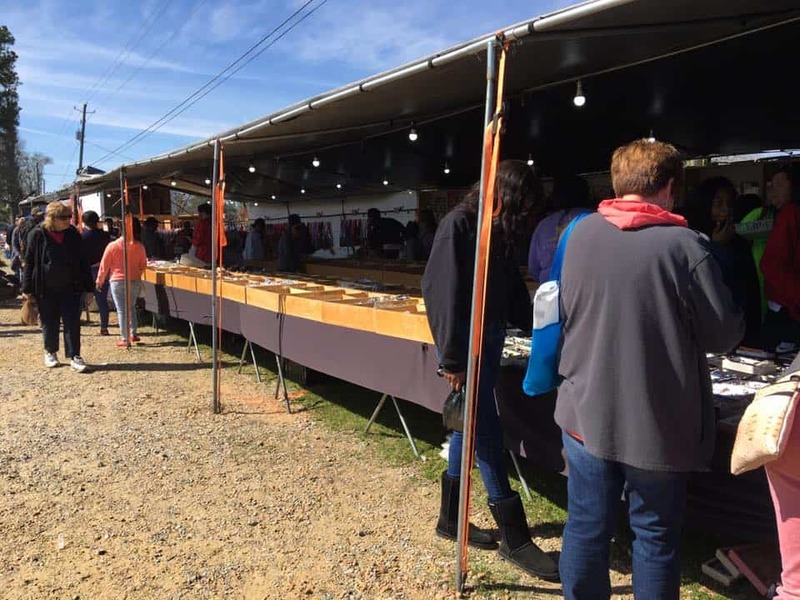 Open every Saturday and Sunday, rain or shine, the Lee County Flea Market is East Central Alabama’s largest outdoor flea. With more than 200 outside vendors, and over 100 indoor stalls, there’s plenty to see and browse no matter what time of year you visit. Vendors from all over the state sell both new and used goods, and with everything from tools to gardening and pet supplies, toys, books and more, there is something to keep every member of the family browsing for hours. You can also pick up a variety of food snacks and drinks from the market’s onsite vendors. 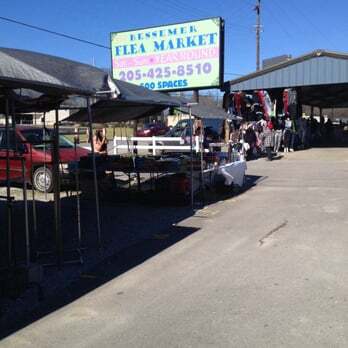 Located in historic Collinsville, this is one of the largest outdoor flea markets in the South. Open every Saturday from 4.30am, you’ll find a mix of serious antique dealers, tourists and locals at this busy market. With stalls selling antiques, collectables, toys, clothes, furniture, fishing gear and fresh produce, this is a cheap and cheerful day out for the whole family. The market is also home to some tasty food vendors, serving up homemade ice cream, corndogs, Mexican, hamburgers and dogs, as well as fresh and homemade lemonade. Parking costs just $1 for the day, or families can make a weekend out of it with the market’s overnight camper parking for $6. 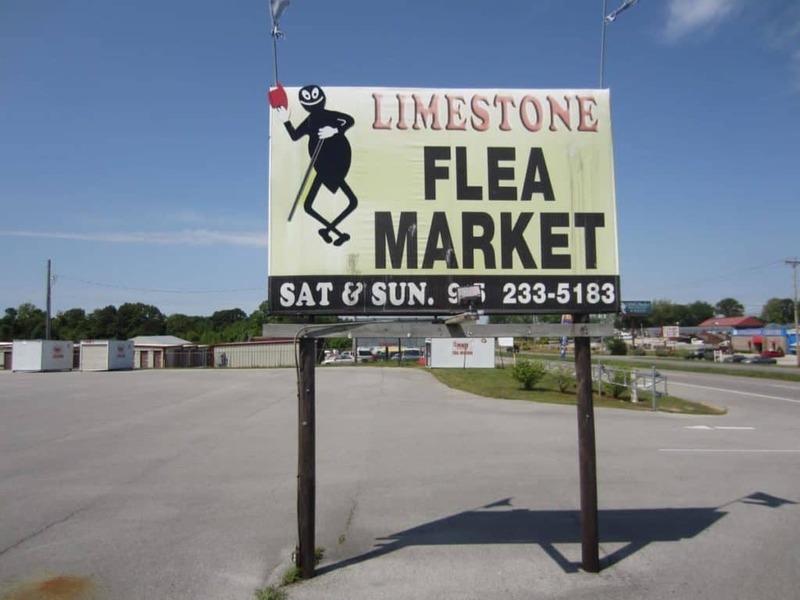 Running since the 1980’s, the Limestone County Flea Market in Madison is one of Alabama’s most loved fleas. A staple weekend shopping destination with locals and tourists alike, the popular flea market is open every Saturday and Sunday from 9am, no matter what the weather. With five warehouses packed full of bargains, and more than 100 different vendors wares to browse through, you can easily spend the day at this family-friendly flea. If rummaging around for buried treasure leaves you hungry, the Limestone County Flea Market’s onsite Grill serves up delicious and cheap meals for all tastes. 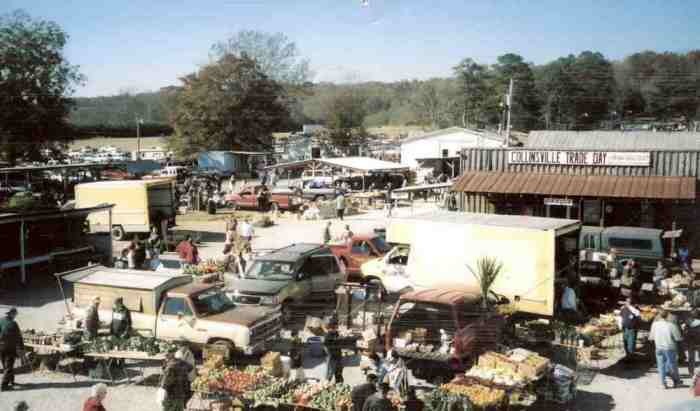 Open every Saturday and Sunday from 8am, Sadie’s Flea Market is one of the largest and best flea markets in Alabama. The huge outdoor flea features both storefronts and vendor booths, with everything from livestock to new and used clothing, homeware, antiques, furniture, fresh produce and toys. Just five miles south of Dothan, near the National Peanut Festival & Fairgrounds, Sadie’s Flea Market is a budget-friendly place for the whole family to enjoy. Don’t forget to pick up some delicious, locally made snacks from the market’s many food vendors, with the boiled peanuts being a particular favourite of visitors to Sadie’s Flea. The DixieLand Tradin’ Post is an eclectic collection of more than 360 vendors, located in Harpersville, Alabama. Run by husband and wife team Buck and Paula, this market might be large but it maintains a small, family-oriented feel. You’ll experience a true taste of Southern hospitality, and with everything from antiques to fresh produce, you’re guaranteed to go away with a great deal too. Don’t forget to fill up on delicious local food before you leave, with a selection of food and drinks vendors available. If you’re looking for a healthier option, stop by Linda Blalock’s homemade salads and sandwiches. With more than 10,000 sq. 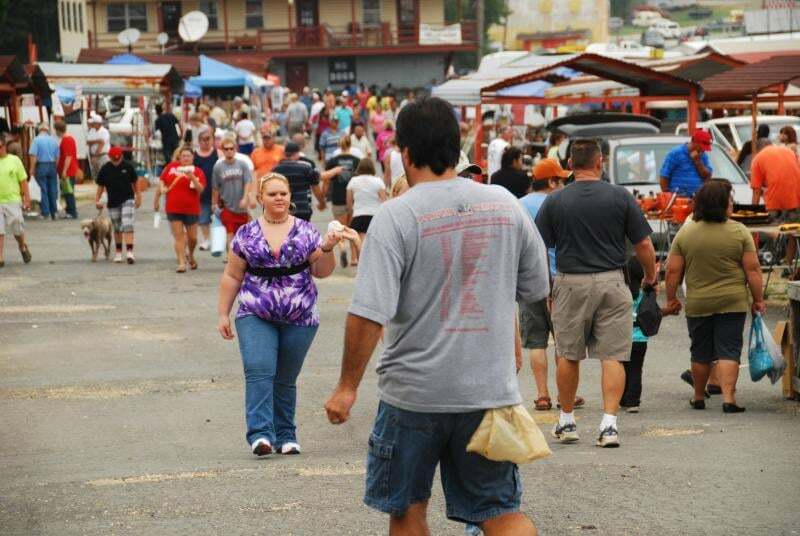 ft. and over 250 vendors, Cullman’s is one of the South’s biggest and best flea markets. 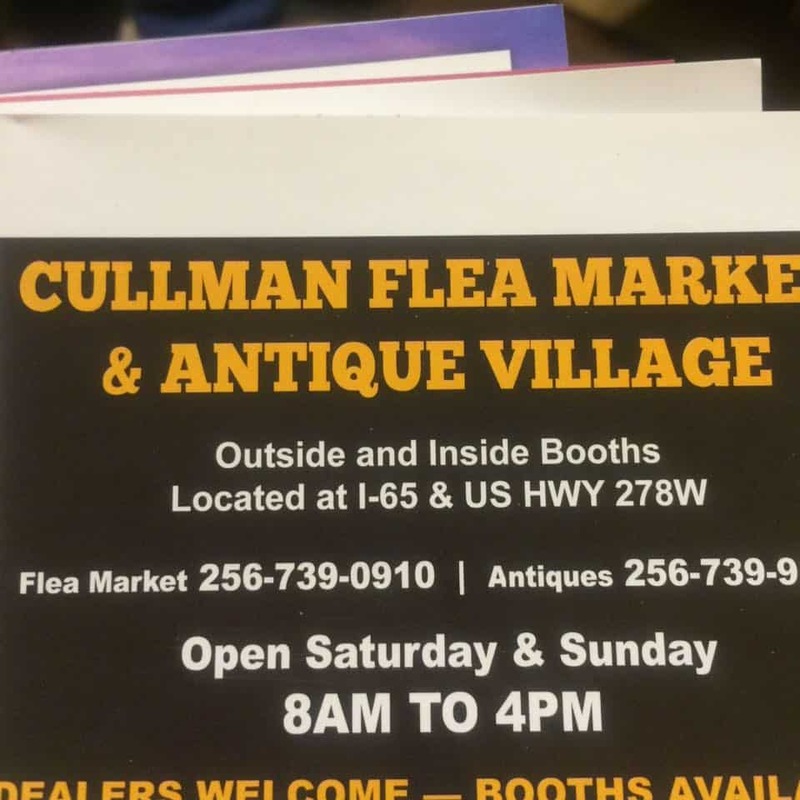 Open every weekend from 8am, Cullman Flea Market has a huge antiques building, as well as a “country village” style outdoor shopping space. You can find anything you can imagine, and a whole lot more, at this flea, making it the perfect place to spend a day rummaging around for one-of-a-kind items and hidden treasure. Junkers will love the garage-sale stalls, whilst true antiquers will be impressed with the range of collectables, furniture, ornaments and décor. 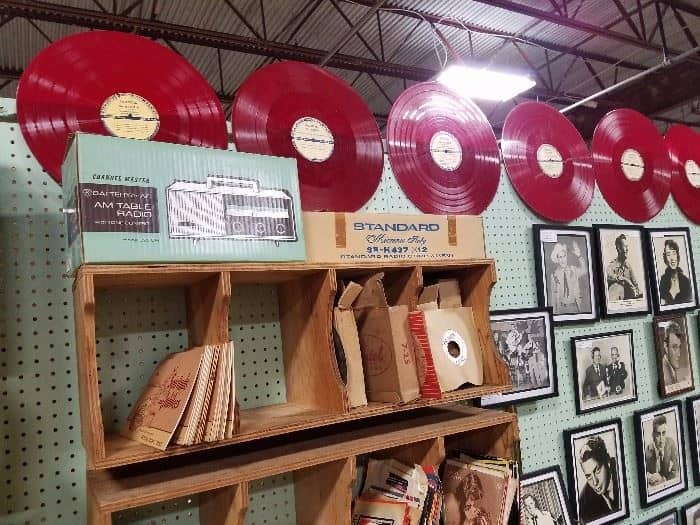 Popular with Alabama’s hip young things, the Eastbrook Flea Market & Antique Hall has over 300 vendors and a huge range of shabby chic furniture, vintage homeware and retro-inspired new home décor. There’s more than 60,000 sq. ft. of collectables to browse through, and with so many unusual and unique pieces, you’ll want to give yourself plenty of time to dig around for that special one-off item you’ve been looking for. The Eastbrook Flea Market & Antiques Hall also has a few food snack and drinks vendors, selling popcorn, cookies, lemonade and coffee. Feel like making a weekend of your next antique or junk hunt? The Bessemer Flea Market in Alabama could be the perfect, budget-friendly place to spend your next free Saturday and Sunday. The huge market, which features more than 450 different vendors and receives an average of 10,000 visitors, has camping and motel accommodation nearby, making it easy to extend your trip. The Bessemer Market offers shoppers a great mix of both new and used goods, with a wide selection of antiques, crafts, collectables, electronics, clothes, sports equipment and more. There are also many delicious food and drinks stalls, where you can pick up fresh, homemade snacks at bargain prices. One of the longest running outdoor flea markets in the state, Santuck Flea Market has more than 400 booths, selling everything from handcrafted woodwork to jewellery, fresh produce and food and drink. Opened in 1976, the market is owned and operated entirely by community volunteers, with proceeds going towards the build of a new community centre and the Santuck Volunteer Fire Department. Held on the first Saturday of the month, from March through to December, the flea is an all-weather market, making it the perfect place to spend a rainy day browsing for bargains. 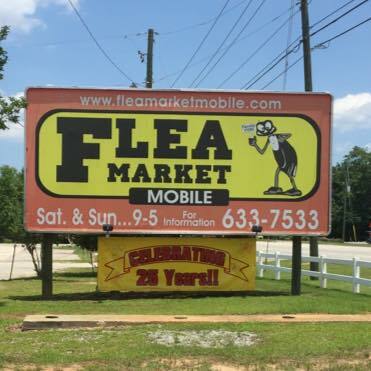 Starting out with just a handful of vendors in the early 1970’s, the Mountain Top Flea Market has grown to be one of Alabama’s most loved and respected fleas. 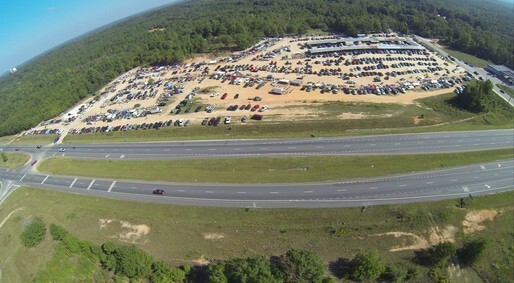 Voted No.1 in the Fairs and Flea Market Category by Alabama’s Bureau of Tourism and Travel, the Mountain Top Flea market can see over 1 million visitors each year. Owned by Melton and Janie Terrell, the market has a traditional flea feel, with plenty of bargains, odds and rarities. There’s also a great selection of local food and drink, including homemade ice cream, hot dogs and hamburgers. If you’re looking for some new threads for far less than the high street prices, this market is an ideal spot to pick up clothing, accessories and shoes. 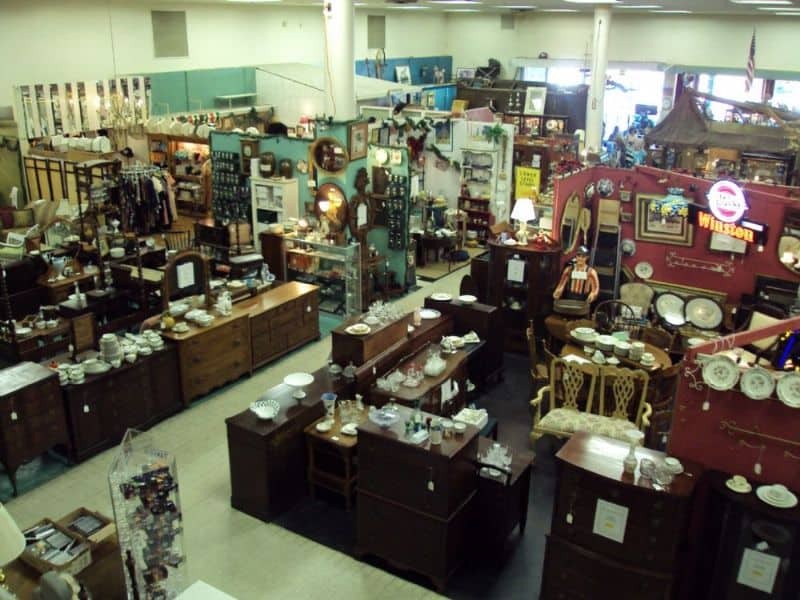 Open for more than 10 years, the Bama Flea & Antiques Centre in Leeds, Alabama, has more than 57,000 sq. ft. of shopping space and over 400 vendors. The huge flea market has traditional flea goods – including antiques, collectables, furniture, jewellery, clothing, sports memorabilia and more – as well as unique items, Indian artefacts, coins and stamps. The market, which is open seven days a week, is also one of the best places in the area to pick up vintage and retro homeware for your home decorating projects, for a fraction of the retail price. The market has a great selection of glassware, crockery, lighting and artwork, as well as kitchenware and knives. There’s nothing fancy about this Montgomery flea market, but what it lacks in layout, it makes up for in hidden treasure and bargain buys. 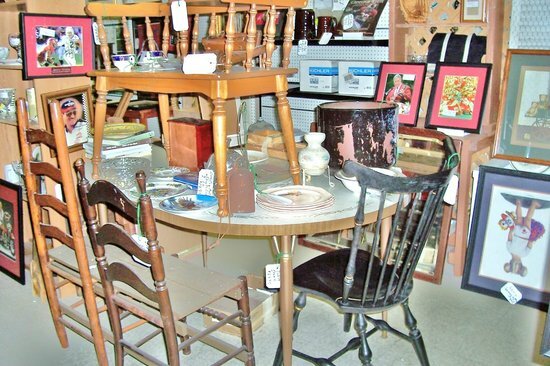 Located in Alabama’s capital city, Willie’s World Flea Market is open Monday to Saturday, and holds a mishmash of new and used goods, including antiques, furniture, electrical appliances and collectables. Don’t be put off by the somewhat shabby first appearance – the flea market staff are friendly and eager to help, no matter what you are looking for. 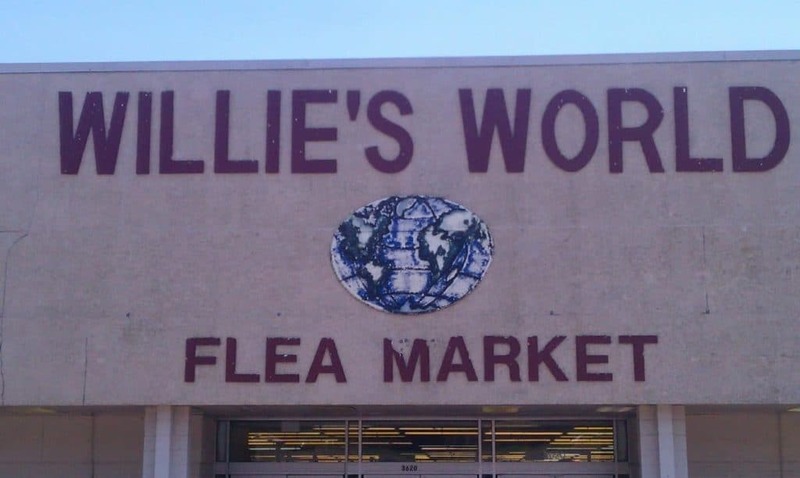 With bedding, kitchenware and artwork, you can find great value buys for every room in the house at Willie’s World Flea Market. The Brass Bear flea market, in Hoover, Alabama, offers one of the most eclectic mixes of antiques, collectables, upcycled, salvage and shabby-chic items in the state. The indoor flea market and mall has close to 300 unique vendors, with a constantly changing inventory of vintage, retro and junk goods. And it’s not just unusual homeware or furniture that you’ll find at Brass Bear – this is also one of the best places to pick up rare items of vintage and boutique clothing. For those getting a little peckish during their bargain hunting, owner Sherry has been known to dish out free coffee and pastries for shoppers. Held on the third weekend of every month, the Shoals Flea Market takes place in the North Alabama State Fairground. The busy market features everything from clothes to candles, handmade jewellery, mobile phone accessories and electrical appliances, as well as antiques, collectables, bric-a-brac and other traditional flea market finds. 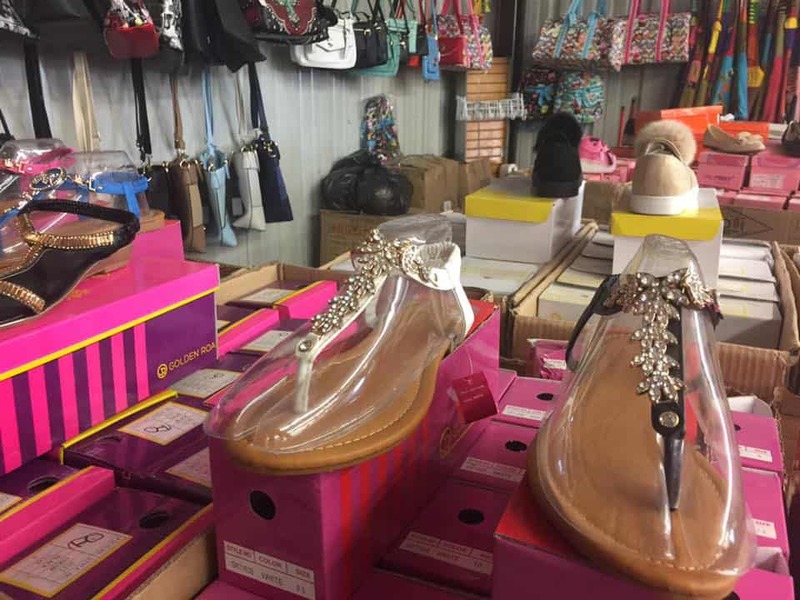 The Shoals Flea Market often runs special promotions depending on the season, with a “Back to School” special for students in August and holiday-themed goods at the markets later in the year. 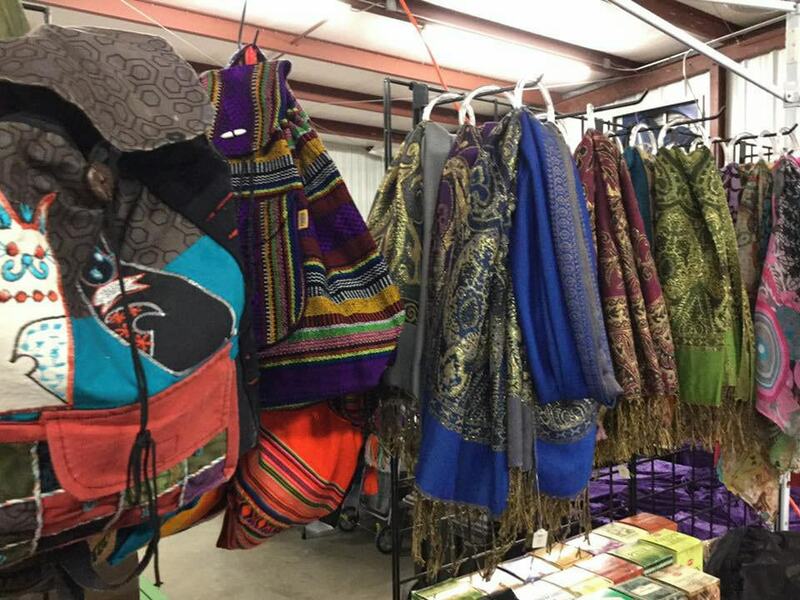 With indoor and outdoor booths, this Shoals Flea Market is an ideal spot for all-weather shopping.